Last weekend, The New York Times published a much-debated exposé of Amazon.com’s workplace culture. It painted a grim picture – and raised questions about how American companies treat their employees. The way we work matters, and the way companies pay their workers is a big part of that. In this week’s newsletter, we examine how some companies are misclassifying employees as independent contractors to avoid paying proper wages – and how workers are starting to fight back. We’ve also got the latest news on a patient data breach, an airline price-fixing scandal, and pressure washers that may break long before they should. Asserting your rights as a worker and consumer is important – and ClassAction.org is here to help. 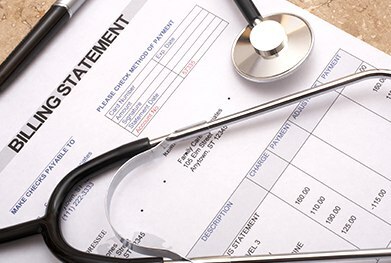 Attorneys working with ClassAction.org are investigating whether patients who were “balance billed” may be able to file class action lawsuits. What’s balance billing, you ask? It’s when you’re asked to make up the difference between the cost of an out-of-network doctor or facility and what your insurance plan actually covered. The problem is this: patients are receiving these bills after going to in-network providers. While most people expect treatments at in-network facilities to be covered entirely by their insurance, many are finding that certain doctors – anesthesiologists, for example – are actually “out of network,” and therefore cost a lot more. A lot of the time, patients have no idea they’ll be billed for out-of-network care after going to in-network facility, and the charges, not surprisingly, come as an unwelcome shock. Has this happened to you? Get in touch and help us with our investigation. Pressure washers make life easier, turning once time-consuming tasks into much simpler projects. What happens if your pressure washer’s pressure goes away, though? According to several consumer complaints, that’s exactly what’s happening with Troy-Built/Briggs and Stratton washers. Online, consumers have reported problems including a drop in pressure, no pressure, stalling, and even trouble starting the washers. This could happen after as little as 15 hours of use. Attorneys working with ClassAction.org are now looking into whether a class action lawsuit could be filed against the manufacturer – so, if you’ve experienced problems with your pressure washer, tell us about it. Independent contractors across the country are suing the companies they work for alleging they were misclassified. Why would a company pretend its workers are contractors and not employees? Simple: employees are entitled to minimum wage and overtime pay, and require that the company pay unemployment taxes. Independent contractors, on the other hand, pay their own taxes and aren’t covered by similar pay regulations. In a lot of cases, contractors are essentially doing the work of employees without receiving any of the added benefits. It’s a bad position for the worker – and so, by filing lawsuits, individuals are now starting to fight back. Sadly, misclassifying workers is common across a wide range of industries, from trucking and delivery services to exotic dancing. In June 2015, a data breach was discovered at Medical Informatics Engineering, Inc., a company that makes electronic medical records software for radiology centers and other healthcare providers. In a press release sent out sometime thereafter, the company announced that patients’ names, phone numbers, Social Security numbers, doctors’ names and lab results may all have been exposed. Now, the company is facing several lawsuits accusing it of failing to adequately protect its data systems. It may have taken Medical Informatics as long as three weeks to discover the breach – and even longer to inform patients that their information was at risk. If you’ve received notice that your information may have been compromised in this data breach, ClassAction.org wants to hear from you. Read more. If you purchased airline tickets from United, Delta, Southwest, or American Airlines at any point since July 2011, listen up. Dozens of lawsuits have been filed against the airlines after the U.S. Department of Justice announced an investigation into a possible price-fixing conspiracy – and with the four airlines making up 80% of the U.S. market, the effects of the alleged scheme are far-reaching. Millions of passengers may have been affected, and are now trying to get their money back. Learn more. Life insurance companies are required by law to hold enough funds to guarantee the policies they sell – and then some. It’s part of a financial system designed to cope with any unexpected disasters, but a number of insurers may be circumventing these regulations and putting their policyholders at risk. If you have a life insurance policy through a New York company – but live out of state – we want to hear from you. Read more. Having acceleration problems with your Dodge Ram? If so, ClassAction.org wants to hear from you. Reports from the National Highway Traffic and Safety Administration suggest that a number of Dodge Ram owners have experienced sluggish and/or unintended acceleration in their vehicles. We’re now investigating whether a lawsuit can be filed over the issue. Learn more. TJMaxx, Kohl’s Sales Prices – Can You Trust Them? TJMaxx, Kohl’s Sales Prices – Can You Trust Them? Retailers across the country have been hit with lawsuits over their use of allegedly deceptive sale prices. Now, TJMaxx and Kohl’s have joined the list of companies being brought to task for their “compare to” prices. For a guide to sale price laws, see our recent blog post. For more details about the two newest lawsuits, check out this piece. GM may have reached a settlement in its faulty ignition switch lawsuits, but the company’s not out of trouble yet. A Michigan woman has filed a new lawsuit alleging the company is excluding people with certain injuries from claiming compensation, even when their injuries were the direct result of the vehicles’ alleged defects. The suit claims that both “Old GM” and “New GM” – terms applied to the company before and after the ignition switch scandal – knew about the problem, but failed to act. GlaxoSmithKline has been hit with several lawsuits this year, all linked to the company’s alleged off-label marketing of its anti-nausea drug Zofran. Plaintiffs say that the company aggressively pushed Zofran as an effective treatment for morning sickness despite the fact the drug was FDA-approved to treat nausea in cancer and surgery patients – not pregnant women. Patients claim that birth defects in their children, including heart defects, were a direct result of taking the drug.